What a difference two months makes. 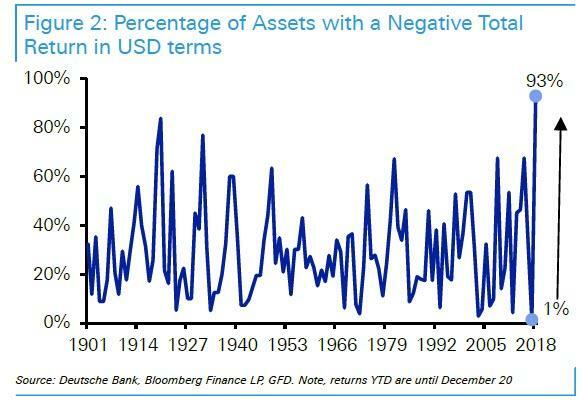 Back in December, with virtually every asset class getting clobbered ahead of the year-end flood of hedge fund redemption requests, the most popular chart was one from Deutsche Bank showing how virtually every single asset class would post negative returns in 2018. 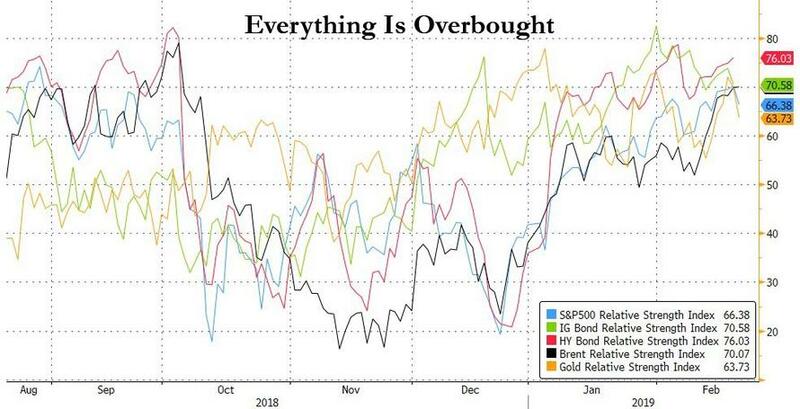 Fast forward to today when just days after we noted that stock market breadth had just hit an all-time high, prompting some commentators to describe the move in January and February as a blow-off top (similar to what we saw one year ago), the "buying panic" as Nomura described it earlier this week has spread to virtually every asset class, a carbon copy of what traders encountered in the early days of QE... which is perhaps to be expected: after all, with the Fed now admitting that a rate cut is inevitable, what follows next is QE. 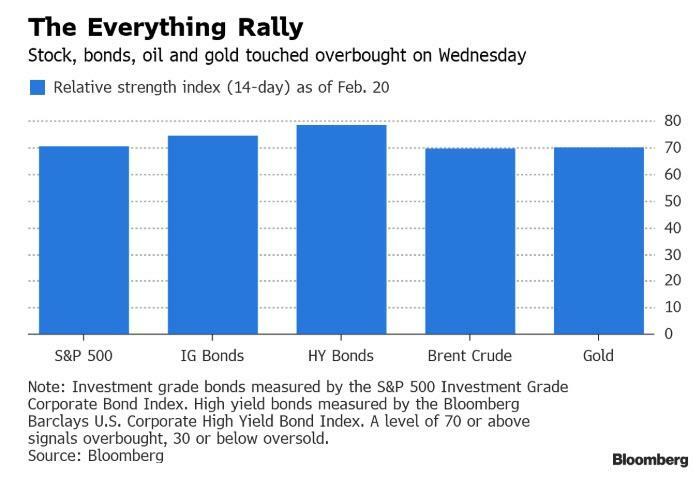 In any case, as Bloomberg notes this morning, stocks, corporate bonds (both investment grade and junk), oil and gold have all been resounding winners in the new year. Each of the five asset classes - simultaneously - had a 14-day relative strength index at or above the overbought level of 70 on Wednesday. That hasn’t happened since at least the year 2000, according to data compiled by Bloomberg. Alas - for the bulls - with everything having triggered the overbought signal, it means that the good times are coming to an end. Because whatever the cause behind this buying euphoria - one made even more bizarre since both retail and institutional investors have been mostly selling for the duration of this rally - one hedge fund warns that the euphoria might be the last gasp in the 9-week old rally. "In our view, September of 2018 marked the peak of the economic cycle with U.S. stocks at record valuations across eight fundamental measures," Crescat Capital's Tavi Costa told Bloomberg. "We are now seeing a typical bear market rally, and the next downward leg is likely to be just as abrupt as the first one".